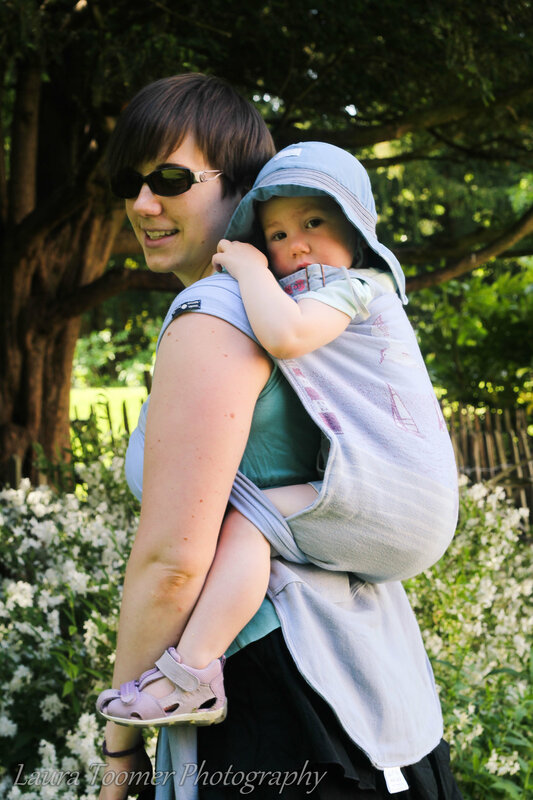 Half buckle carriers combine the long supportive shoulder straps of a meh dai with the convenience of a buckled waist band, which may be padded or unpadded. These carriers can be a game changer for people who find other carriers cause them back pain. Half buckles: Didymos Didy-Click, Optitai custom Preschooler size, Sling Betty custom Girasol conversion in-between size, Storchenweige half buckle carrier. Meh dais (formerly known as mei tais) consist of a main panel which may be sized for e.g. 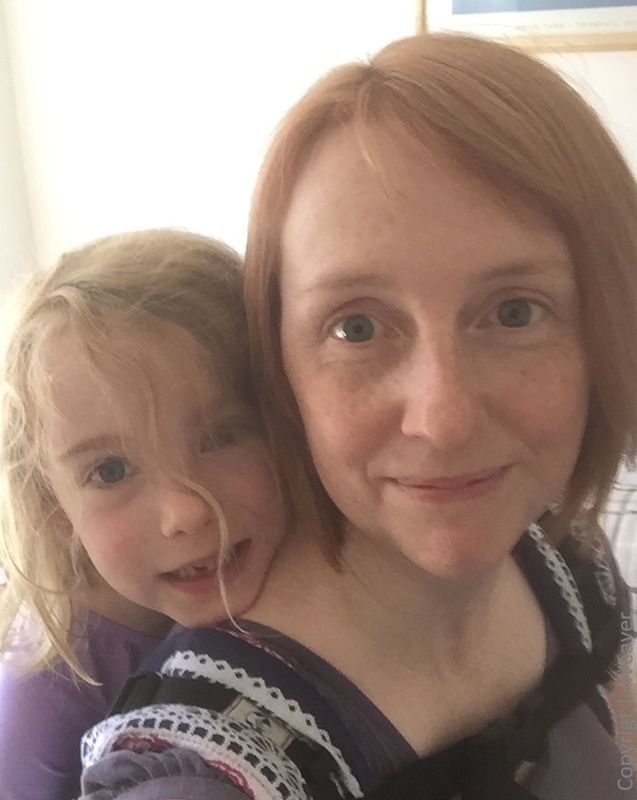 baby, toddler, preschooler, or adjustable to last for a range of sizes, a tied waist-band, which may be padded, and long straps which can be either narrow or wide and padded or plain. 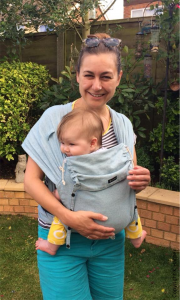 The long shoulder straps wrap around the baby and wearer to create a secure supportive sling which can be used for front, back and hip carries. Meh dais can be particularly flexible where adults who differ greatly in size wish to use the same sling. These versatile slings can be more cost effective than an equivalent speck of buckled carrier. Baby, toddler and doll in Fidella Flytai (new size). The Podaegi is a traditional carrier which originates from Korea. They incorporate many of the advantages of a woven wrap with the convenience of a meh dai. Podaegis consist of a long rectangular body panel with long wrap straps attached at the shoulders. The carrier has no waist band and instead the panel is secured to form a seat using the long straps. Like a woven wrap this sling is suitable for any age. It should be noted that getting into a back carry can requires practice unless your child is very amenable and large enough to hop on! Onbuhimo carriers developed from a style of carrier traditional to Japan. Versions of these carriers available in the UK typically have a shaped back panel with no waist band, and a pair of straps which join the top corners to the bottom corners of the panel rucksack style, either using buckles, rings or loops. The child’s legs pass through one strap each, and the parent typically carries the child high on their back.